There are a wide array of botanicals and a touch of bitterness in Maxime and I’m in love. Does this make me an old lady with old lady taste buds? Am I actually Maxime? Are we all Maxime? Perhaps. 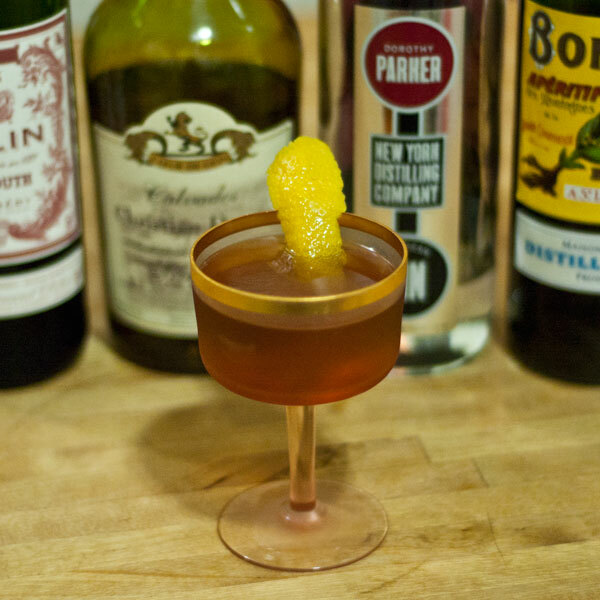 Dorothy Parker Gin and Calvados play well together along with Bonal and Dolin Rouge making this the perfect Aperitif Cocktail with an autumnal flair. In tin combine Gin, Calvados, Bonal, Vermouth and bitters over cracked ice. Stir and strain into chilled coupe. Express orange peel and garnish.